I recently went on a girl bonding trip with my mom and sister. It was one hell of an experience! Let me give you a blow by blow account (just because I also like a detailed story about travels for future reference) of my short little getaway experience. 530pm Flight via Emirates. Packed light. Only a small carry-on which only had an extra change of clothes for emergency, toiletries, and a couple snacks in case I din’t like the food on the plane. At NAIA 1, there were no forms at the immigration area! “ay naubos na” is what the man on duty said.. tsk tsk. After going through immigration, I had 30 minutes to spare before boarding which gave me an excuse to munch on a kopi roti bun & iced tea. Love their iced tea! 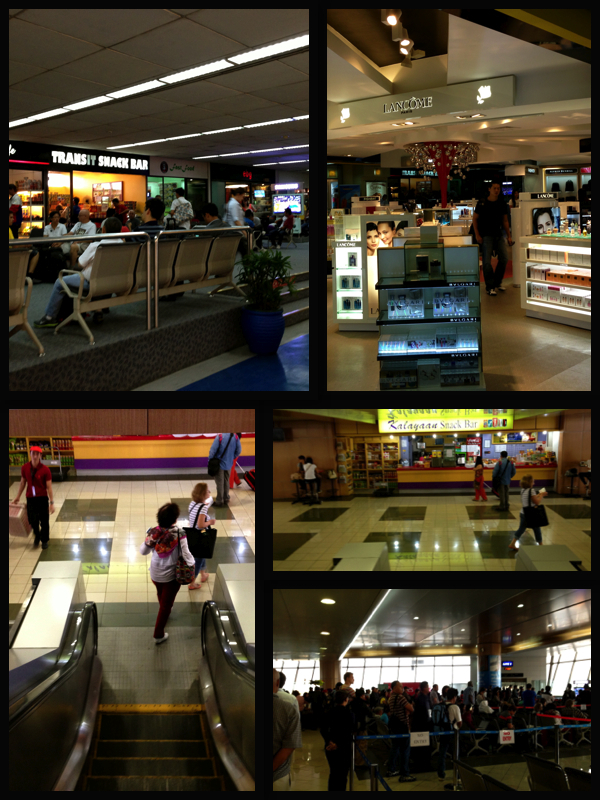 For those who haven’t been to NAIA 1, these are the only shopping and waiting areas. Not much, but it serves its purpose. But if you’re in for the long wait, I suggest you bring something to keep you busy. Have your candy crush game ready and you won’t realize its been hours. Before boarding any plane, I make it a point to go to the restroom to avoid the hassle of using the ones inside the plane. 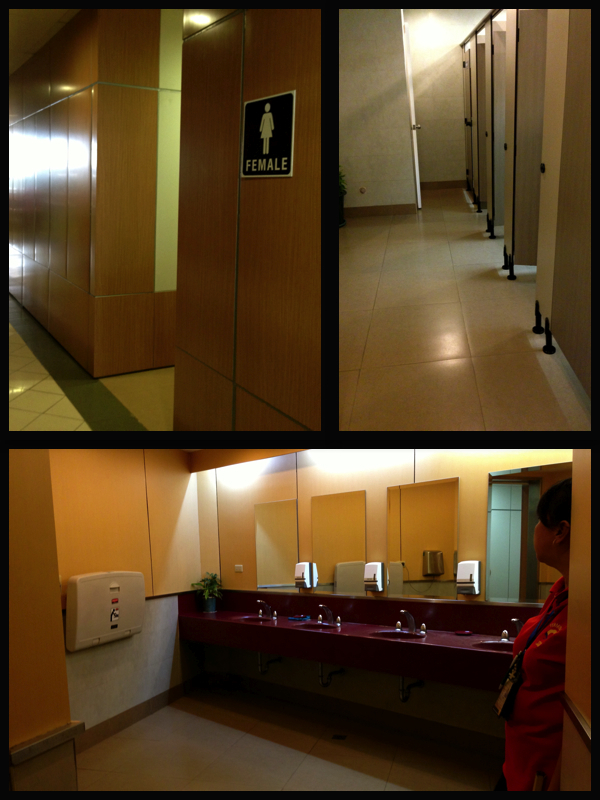 NAIA 1 did say they renovated their comfort rooms. Take a look. Not bad, eh?! Well this is the one near the gates at the lower ground level. Finally, Take off! 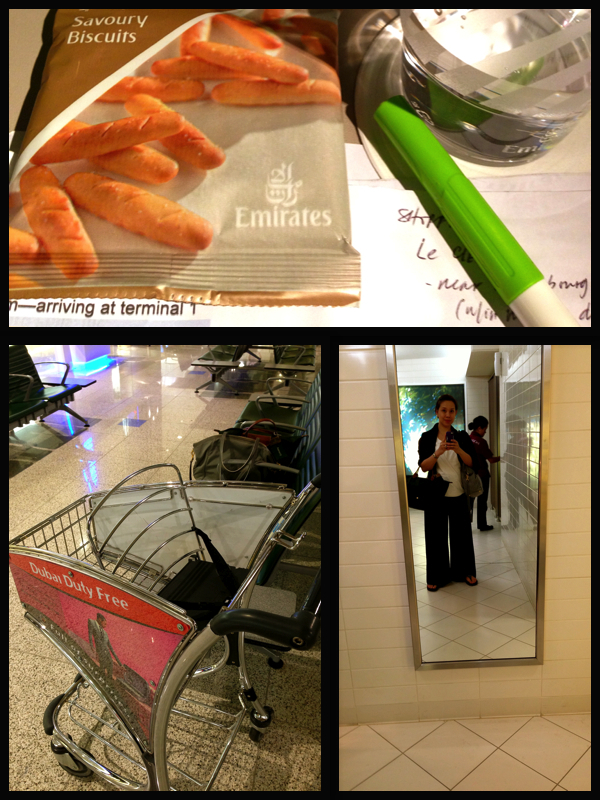 Finishing our itinerary for Rome and a few TV series kept me busy on the 8 hour flight to Dubai. I see to it I wear comfortable clothes when I travel, something I can sleep in. I had a 4 hour layover. Couldn’t go around the city coz we arrived 12 midnight. But its okay, Dubai airport is big enough for you to spend 4 hours in. If you’re tired and want to rest, they have lounge chairs available. I just got my free buffet meal (yes, Dubai Airport gives free meals if you have at least a 4 hr layover) and stayed at the restaurant, surfing the internet till it was boarding time. Another great thing is they have free wi-fi. What more can you ask for? Touchdown! 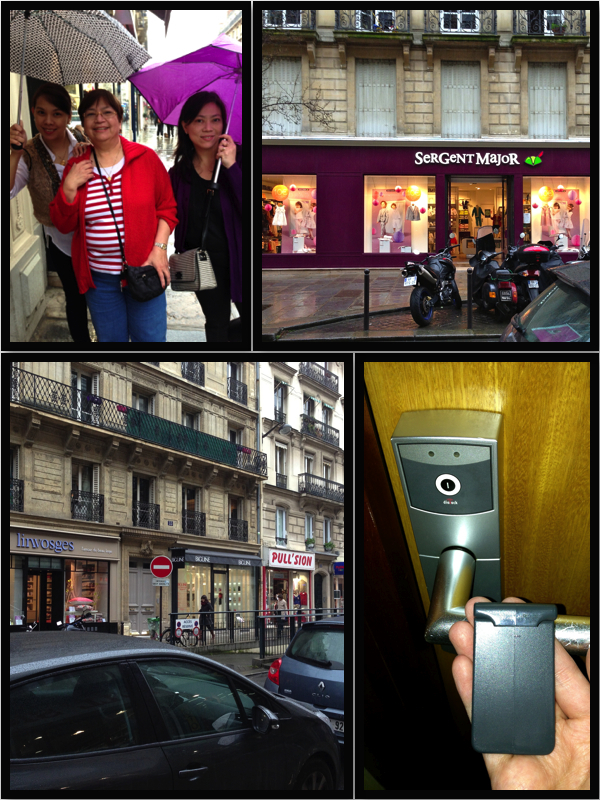 Finally, after a 7-hr flight from Dubai, it’s Bonjour Paris! 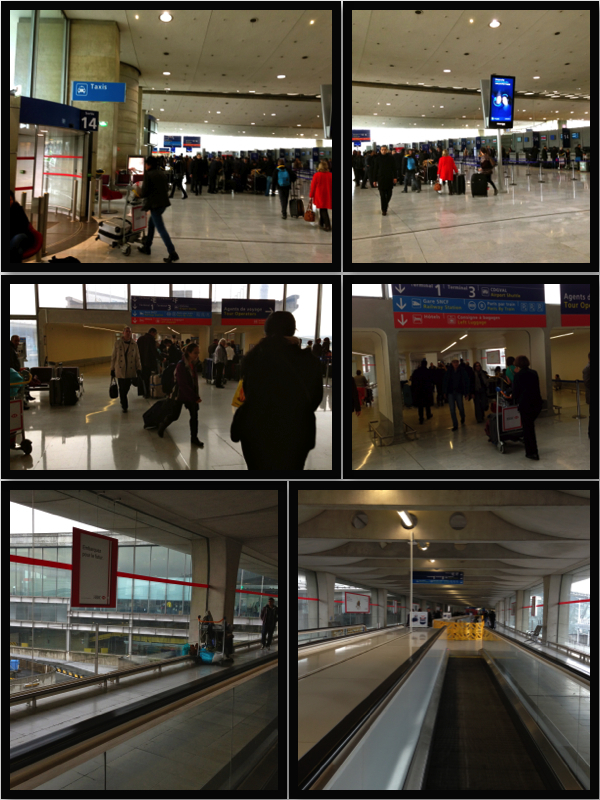 This is the arrival area of Charles de Gaulle Airport Terminal 2. Quite small, you won’t get lost. But I waited for my bag FOREVER! almost an hour of waiting. Arrived 8am. 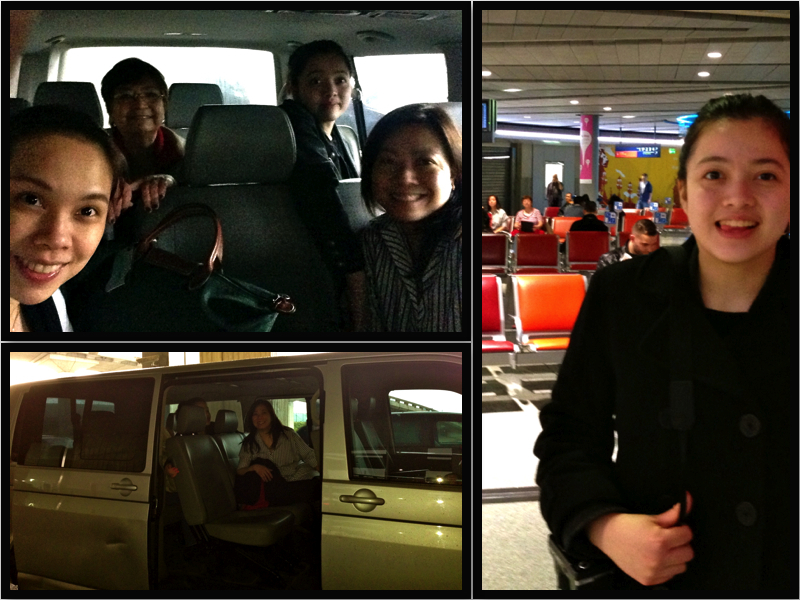 My mom, sis, and niece were waiting for me at Terminal 1. If you’re gonna meet anyone, at CDG, I suggest meet them at McDonalds or Starbucks, easier that way. This airport gives you free 15-minute wifi, so use it wisely! While waiting for my bag, they contacted me through FaceTime so I knew exactly where they were seated and they knew I had arrived Paris. You see, my mom had just watched the movie Taken, so she didn’t like the idea of meeting at the hotel. She made sure all our flights arrived CDG at the same time. 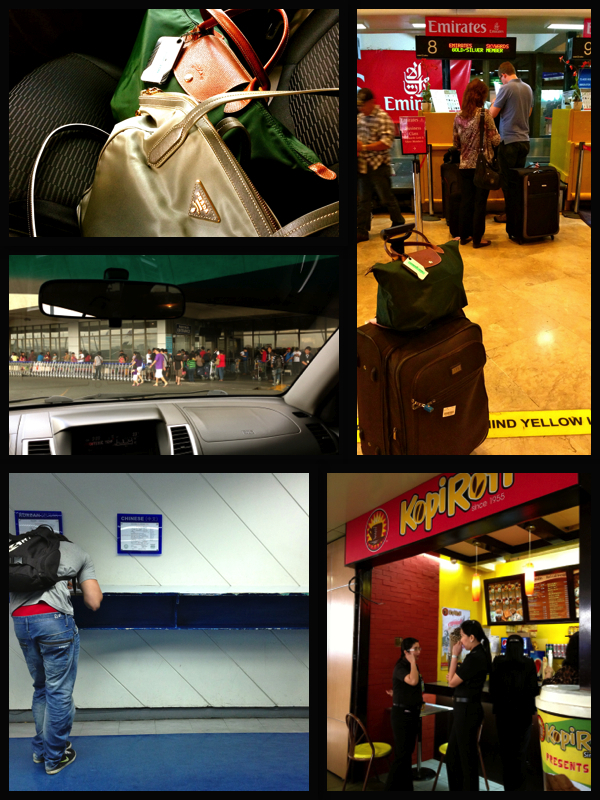 My mom was coming from LA, my sister & niece from Canada, and I was coming from Manila. Luckily, the 3 of them were able to get the same flight from Philadelphia to Paris. This lessened the looking and waiting time. Let me show you the rest of Terminal 2. I had to go pass the check-in counters and into the tunnel to ride the train going to Terminal 1 where I had to meet them. Now take a look at the lower left picture. Seems like a homeless person. For some weird reason, I’ve seen several in the airport. Check the upper left picture. There’s another one I saw, on the floor. 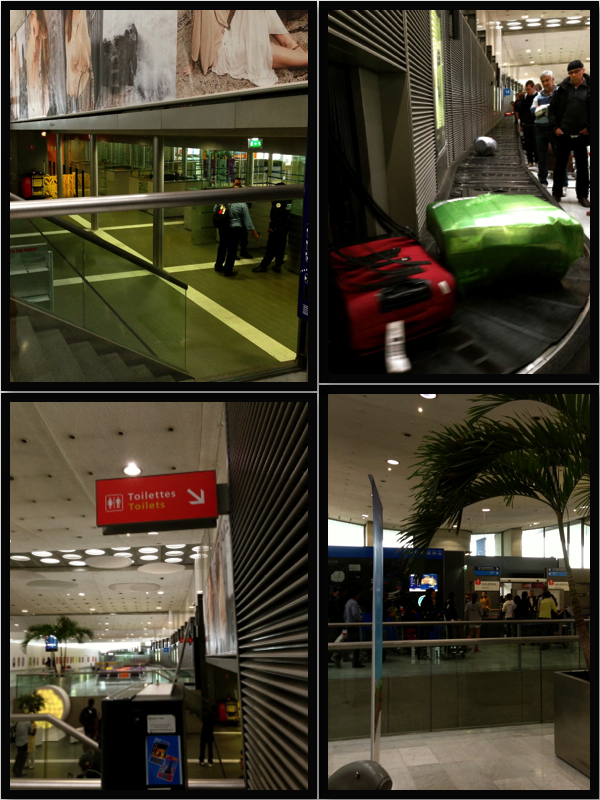 Anyway, I rode the Train from Terminal 2, to Terminal 3, and last stop, Terminal 1. I got there at 9:35am! An hour delayed from scheduled itinerary. Bonjour! we meet again! Since we live far apart, we hardly get to see each other that often. I see my mom once or twice a year and my sister something like every 2 years or so. It was nice to spend time together in a different place other than where we all live. We’re all tourists now. We’re strangers in a strange land. Now this is what’s gonna make this trip so memorable!!! We booked a van (through our hotel) to pick us up at the airport. A driver will be waiting for you at your gate. This will just make things easier especially coming from a long flight. And at least its safer than getting a taxi from the airport. Happy with our Hotel. 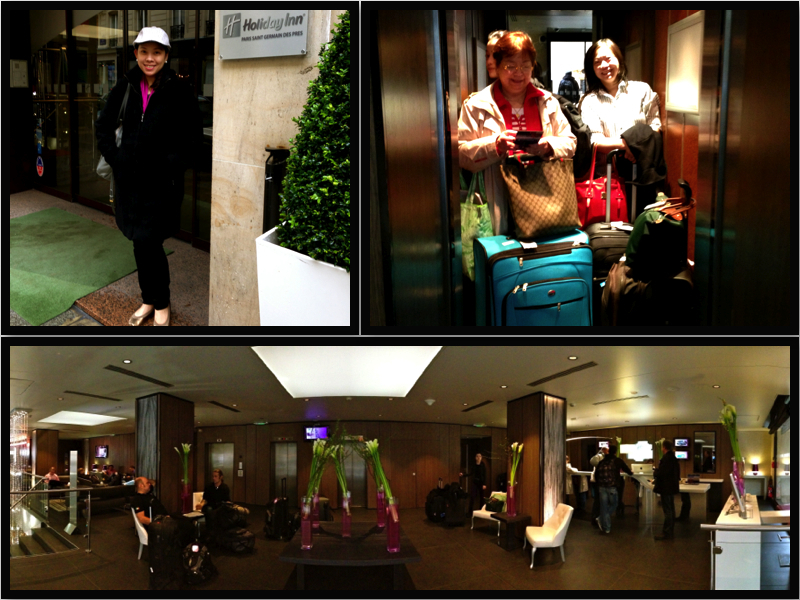 Holiday Inn St. Germain des Pres. For some reason, elevators were always a bit tiny. 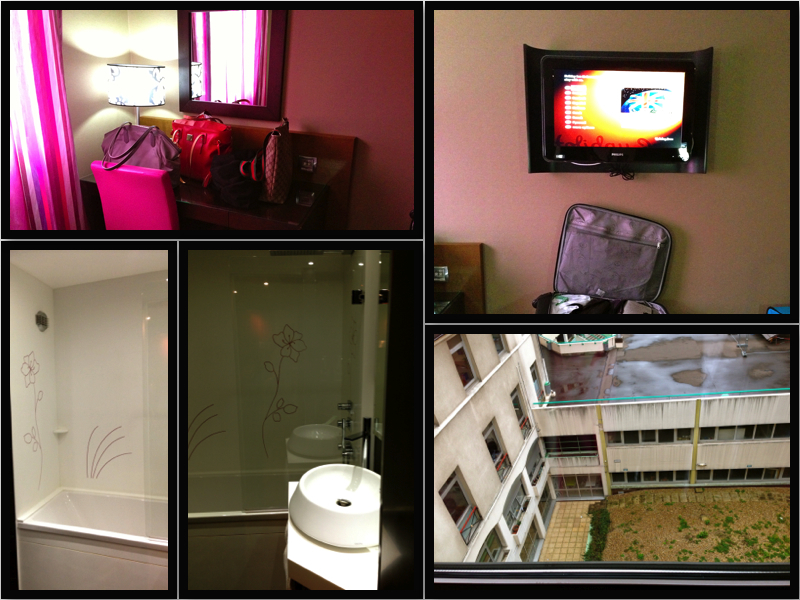 Lower picture shows the hotel lobby. 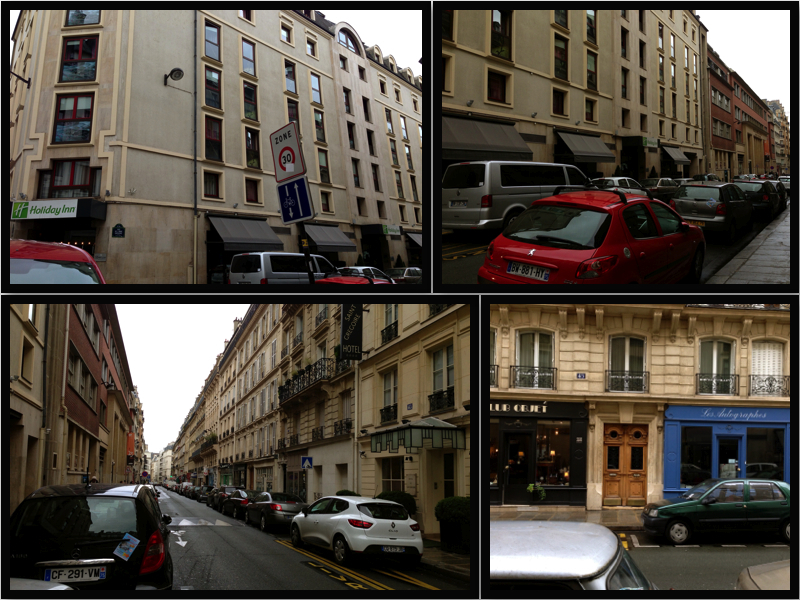 Our hotel was at the corner which was a few steps from the Metro and the main road leading to Montparnasse Tower. Across it were some stores, nail salon, and cafes. 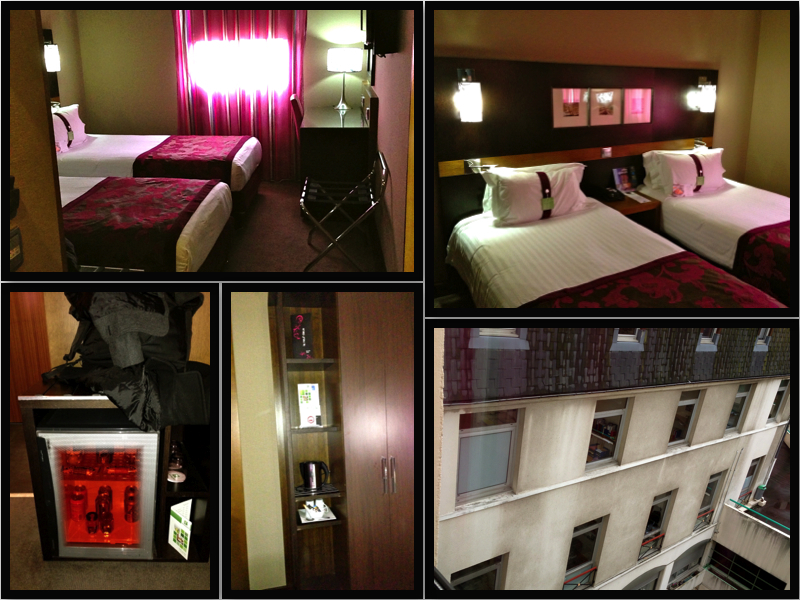 Here’s how our rooms looked like. A bit small but clean and doable. Our view wasn’t the best though. After being bugged to make an itinerary for our trip, I gave in. Problem is, they din’t stick to it! Grrr!. We were supposed to go to 2 museums and some sights but since it was already mid-afternoon so we decided to go to the outlet instead. Now this is how the train going there looked like 😦 …. a bit shocked and grossed out! well, no pain, no gain in shopping right? Now our adventure begins! …. see that purple umbrella? that’s the root cause of the adventure for today! It was my niece’s and she dropped it on the floor of the train as we were about to get off our stop. 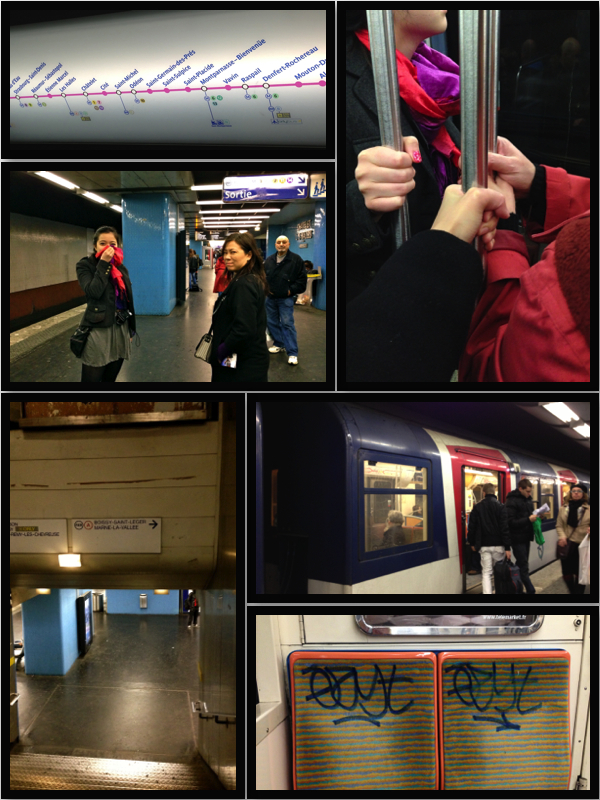 We were on the red line (from Les Halles) of the RER and we din’t know it was gonna split in two. We were on the one going down (Fontenay-sous-Bois) where we’re supposed to be on the line going up (Val de Fontenay). 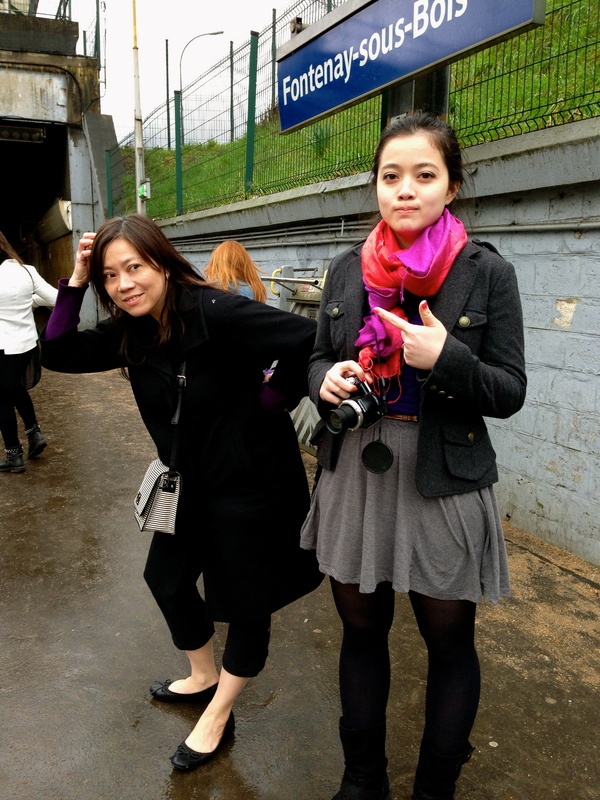 So my, mom, my niece and I waited for the next train to come. You know how trains are supposed to have those blinking lights to see what lane you’ll be going to and which stops you’re currently at? Well, this one din’t. It was just a sticker of the city stops so you wouldn’t know. We took our chances and hoped for the best it would take us to the right one. As we got to the next stop, turns out we weren’t that lucky. We were on the train going to the outlet! 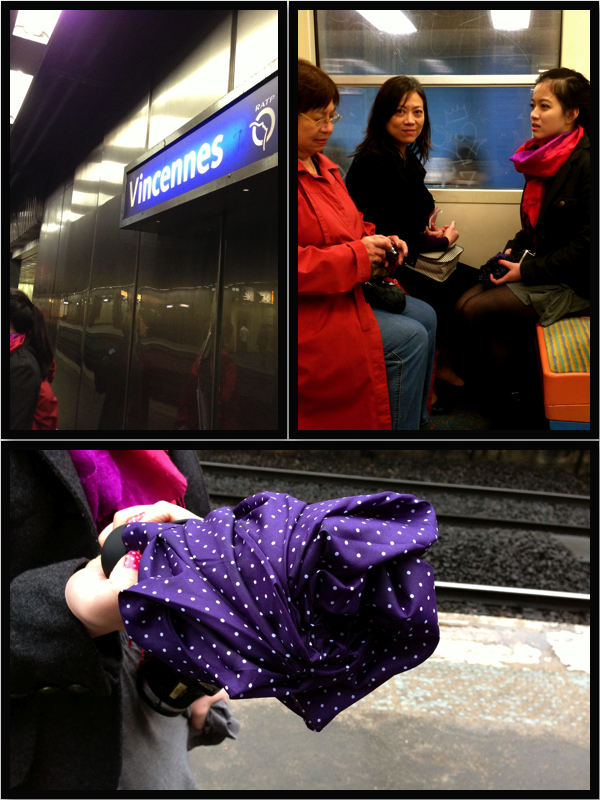 So we go back to Vincennes and waited for the train that had lights on the map to get off at Fontenay-sous-Bois where my sis was. She was at the corner of the station waiting for trains to come. When I say corner, I mean the real edge of the corner of the ledge wherein one more step, she’d be on the tracks! 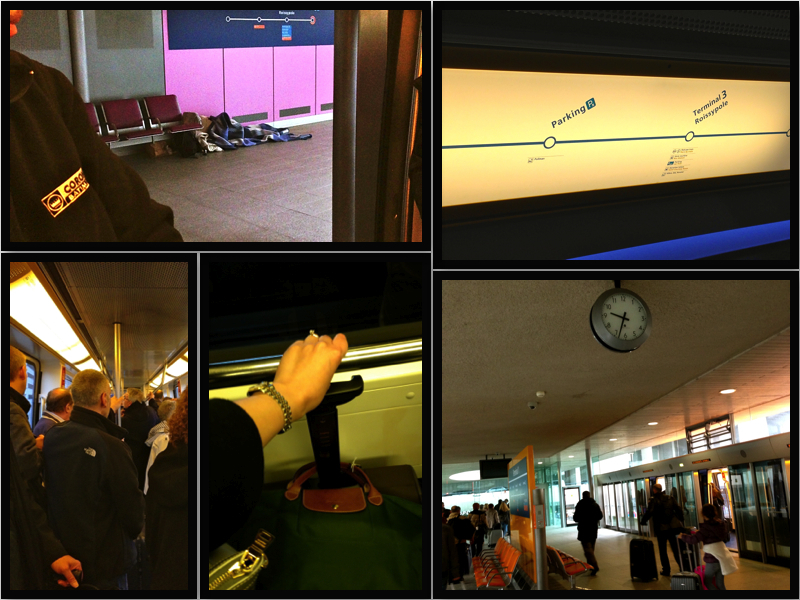 She was waiting for around 30-40 minutes and was gonna go back to the hotel if we weren’t on this train. You should’ve seen her face! Imagine a lady at the corner sticking her head out…what’s bad is we were at the front of the train, so when we got off, we were at both ends of the train station. By the time I was able to walk to where I saw her, she was gone! Luck wasn’t with us that afternoon I know. Good thing after a few seconds, I saw her across the tracks! Finally, reunited! Hahaha! OMG, I was LMAO! From the time she got left inside the train, to the part where we got on the wrong train, up until I saw her, I was just laughing and laughing, couldn’t even talk when I saw her as we all broke into laughter (well except for my poor mom who got tired and frantic as we were going in circles!). That was a good hour wasted where we could’ve been at La Vallee Village Shopping Outlet by this time. Oh well, I guess shopping there wasn’t meant to be. I wish I could to Paris, too!